Wide Calf Wedge Boots For Women. Wedge heel is always in fashion for good reason. It sturdy and comfortable. When you slip your feet in wedge heeled boot you gain all the benefits of a high heel shoe without the disadvantages of the stiletto heel. These boots add height and are easier to walk in. 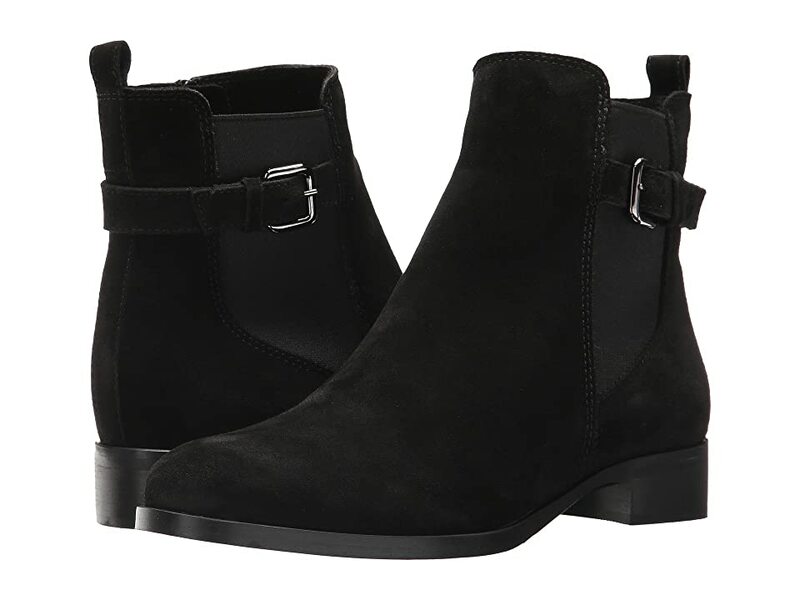 Wedge heel boots are sturdier and more comfortable than the typical high heel boots. They elongate visually legs and make ankles appear thinner, not to mention the better support. To my disappointment, there seems to be a limited variety of wide shaft wedge boots to fit ample calves. Here are is a selection of Women’s Wide Width Wedge Calf Boots.